A website can better be explained as a collection of individual documents prepared with the help of text, colors, graphics, and these factors are formatted together to build a complete user experience. 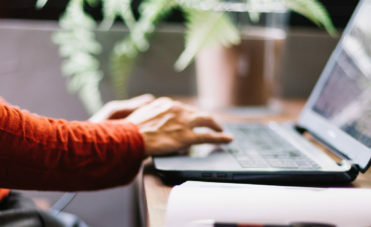 A comprehensive term for the work involved in building a site for personal or private connection is known to be web development. In the recent times, it refers to the creation of Content Management System or CMS. You need not have a robust technical knowledge in order to avail the prime benefit of CMS, which allows even a non-technical person to build a site effectively. A successful website is more than a digital brochure. It is worth the effort to create a functional, streamlined and well-designed website while it can be tough to achieve it. The improvement of the bottom line, however, coincides with the improvement of customer experience on your website. It has been revealed by a study that the assumed trustworthiness is affected by not the content of the website but the design of it. Few of the ways to build a better website has been enumerated below. In the web development of a small business, the typical and most important part is the homepage. This is the first thing a potential customer would seek for, in your website. You keep the answers to the critical questions, to be asked by the visitors of your site, in store. The possible questions can be about what you are, what your business is all about and what benefits can they yield from your website. Your website is believed to be the prime potential point, with a huge section of 81% of shoppers who intend to conduct an online research before buying a product and the number of client reaches to 94% when they in the B2B market. Creating an impression must be considered while communicating with your potential customers. The trick to creating a unique design for your website is to consider not overloading your homepage with irrelevant content and stick to the text limit of 120 words. In order to make a website optimal for any device that your visitor might be using, it should be kept simple and clean. The use of features like Flash Animation and navigation which are designed for large monitors should be avoided. A content that has no efficiency to keep the visitors engrossed can ruin the traffic of your site. 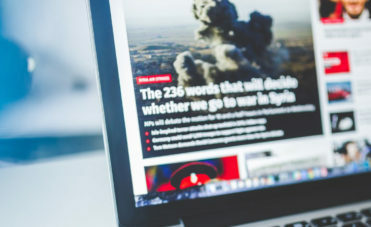 The importance of well-written subheads or headlines should be regarded, as it is this powerful factor which enables the visitors to choose between reading and leaving the website. The relevance of the content must be assured. The factors which help you keep the visitors engaged and active are business hours, production information, new articles, price changes and white papers. Avoiding of random content is highly recommended. The disabilities and difficulties of the viewers who happen to visit your website should be considered. It must be remembered the people who visit your site can have the disability like color blindness or some of the people might have slow internet connection. Therefore, to make your website easily accessible to such visitors a unique design and plan are commendable. The Search Engine Optimization and Search Engine Marketing factors should not be ignored as these campaigns can leverage the growth of your small business. The highly specialized fields require a considerable investment of time to learn. There are a huge number of professionals who can help you to optimize your site on search engine. The success of your website can be hugely impacted on with the execution of SEO and SEM strategies. Your prospective customers characteristically look for specific information. Most of the pages are being skimmed quickly by the visitors and they do not even read the pages wholly. The success of a website is inevitable when it presents information in an organized and orderly manner. But a site which appears to be unorganized or chaotic cannot attract the interest of a reader. While browsing through sites, people often become impatient and it is the slow load times which determine whether a visitor will buy your products or not. When the web development is done in a proper way, it is likely to fetch you immense profit in your business by attracting potential visitors. Therefore, develop a unique plan, follow the best practices of web design and pull them together to present your buyers an exclusive user experience.